Another important objective of the George Gregan Foundation is to raise funds towards the training of medical practitioners who specialise in the treatment of children suffering from epilepsy and other neurological conditions. 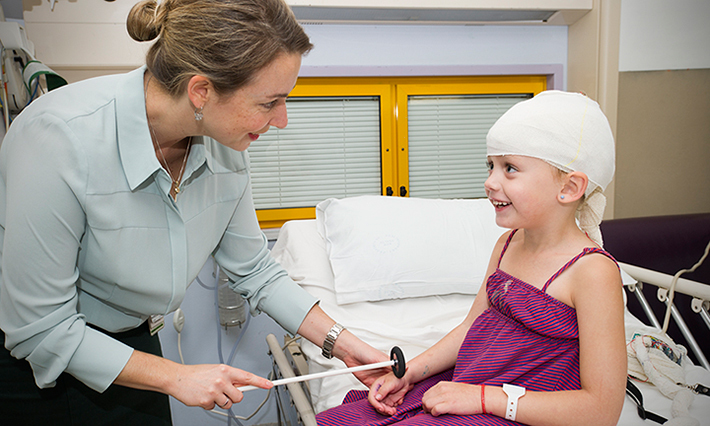 Since 2006 the Foundation has funded a Fellowship in Neurology at Westmead Children’s Hospital. 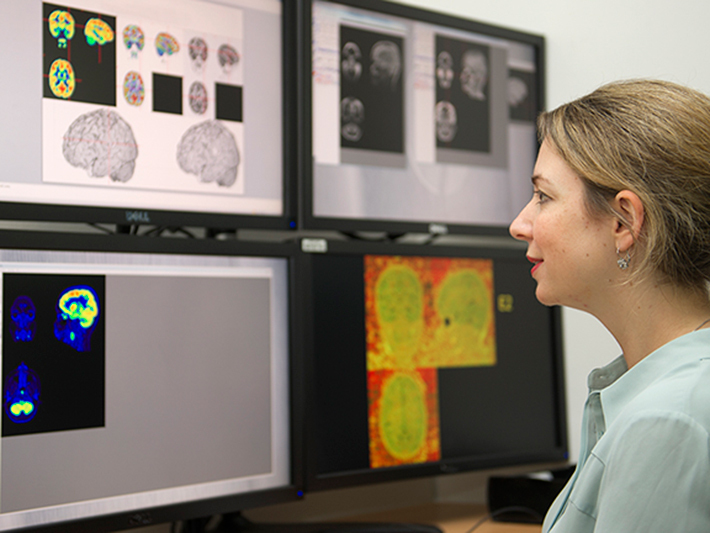 The George Gregan Epilepsy Fellowship provides clinical experience in the assessment, investigation and management of children with new onset and refractory seizure disorders. This is seen as a great investment in improving the treatment and results for children and their families. The Foundation also funded a Fellowship in Neurology at the Mater Children’s and Royal Children’s Hospitals in Brisbane between 2009 and 2011. The role of the Fellow was to support the clinical care of children with epilepsy at both hospitals, in the inpatient and outpatient settings. Click here to make a donation towards the George Gregan Fellowship. Applications for the George Gregan Fellowship open annually in August. Please visit the Children’s Hospital at Westmead website for more information about applying for the Fellowship. The 2015 George Gregan Fellowship has been appointed to Dr Ubaid Shah. We are immensely proud of the work the former George Gregan Epilepsy Fellows are continuing to do after the completion of their Fellowships. The 2014 Fellow, Dr Michelle Lorentzos intends to return to paediatric neurology post-maternity leave. The 2013 Fellow, Dr Deepa Srinivasan continues her neurology training at The Children’s Hospital at Westmead. The 2012 Fellow, Dr Kavitha Kothur is finishing her training at The Children’s Hospital at Westmead and undertaking research into the mechanisms of epilepsy in children. The 2011 Fellow, Dr Jehan Suleiman is Assistant Professor at United Arab Emirates University in Dubai, having completed a PhD in inflammation and epilepsy. The 2010 Fellow, Dr Sekhar Pillai is a neurologist and epilepsy specialist in Sydney performing outreach services in Canberra for children with epilepsy and other neurological disorders. The 2009 Fellow, Dr Sachin Gupta is a neurologist and Epilepsy Specialist The Children’s Hospital at Westmead. The 2008 Fellow, Dr Chris Troedson is now a specialist in Paediatric Neurology and Epilepsy at The Children’s Hospital at Westmead. The 2007 Fellow, Dr Pyara Ratnayake continues to do some remarkable things in Colombo, Sri Lanka, with limited resources as a specialist in neurology. The 2006 Fellow, Dr Gopinath Subramanian is a staff specialist in paediatric neurology and epilepsy at John Hunter Hospital in Newcastle. The 2005 Fellow, Dr Katharine Forrest is a children’s neurologist in Southampton, UK. “The benefits of the George Gregan Fellowship have been innumerable as I have been able to expand my knowledge and clinical experience in the field of Paediatric Epilepsy which is a significant part of Paediatric Neurology. Having a high on-call workload has enabled further experience in this area. Patients with complex epilepsy are often difficult to manage. Looking after patients with these problems has been both challenging and rewarding. The highlights of the position for me have been the fantastic opportunities I have had to understand Paediatric Epilepsy and Epilepsy surgery with hands on involvement in cases requiring extra monitoring, pre surgical evaluation and surgery with extensive intra operative investigation of epilepsy. “This year we have performed surgery on 13 children so far and many more were evaluated to determine surgical candidacy with extensive effort from various team members. I would like to share my experience with a few of little children who underwent surgery when I was working as fellow. A highlight was the five year old girl from Perth, who many members of the foundation met during their visit to the hospital, and underwent epilepsy surgery in a 2-stage procedure with subdural grid monitoring, functional mapping and focal resection of lesion near functional area of brain. She is the youngest girl to have undergone such an operation at our hospital. I am delighted to report that she remains well without any focal neurological impairment and no seizures at all. The parents a delighted and her life has been transformed. I have been very active in the new Epilepsy Monitoring Unit that the foundation helped to establish. This has been a tremendous step forward in the evaluation of children with severe epilepsy and I have been an integral part of this team, assisting in finding the focus of the onset of the epilepsy. I have been undertaking a research project and presented my findings at the recent Epilepsy Society of Australia (ESA) meeting held at Hobart, in describing a group of children with severe epilepsy and subtle lesions on MRI that if detected early can lead to epilepsy surgery and a cure. I did this research in collaboration with the team in Melbourne Royal Children’s Hospital. The knowledge I have gained this year has stimulated me to further research severe epilepsy in children. I am also planning to do a Masters next year looking at children with epilepsy and focal lesions to see if we can identify these children early so that they can be subjected to investigations for early epilepsy surgery. “It has been an interesting and exciting year for me personally. I have been involved in the care of complex epilepsy patients, including surgical candidates which is, as you know a developing area within Epilepsy in particular. My work involves constant liaising with the other members of the complex epilepsy program at The Children’s Hospital at Westmead about our patients’ complex needs. One thing I have learnt through my involvement in this Fellowship is how much time is needed and spent by different clinicians involved in planning a single epilepsy surgery. 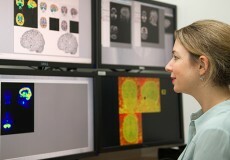 This process can take up to a year and includes planning, conducting investigations and going through these complex investigations including video EEG and different scans, presentation and discussions at the epilepsy surgery meetings (both locally and through teleconference with other network hospitals), feeding back to the patients and their family and support them then finally attending their surgery and looking after them post operatively. So far this year we have completed 8 complex cases, and we have more than 10 cases getting worked up for potential surgeries. “I am very grateful and humbled to have been awarded the George Gregan Epilepsy Fellowship at the CHW for 2010/11. Epilepsy makes up a significant proportion of the work that paediatric neurologists are involved in as one in every 100 people has epilepsy. There is a significant medical and psychosocial burden that accompanies children and their families with difficult to control epilepsy. These are the patients that I am and will be involved with in my current position. As the epilepsy fellow, I am part of a comprehensive epilepsy programme (CEP) multidisciplinary team which consists of an epileptologist, paediatric neurologist, clinical psychologist and neuropsychologist, clinical nurse consultants, dietician and research assistant. This inaugural team at the CHW aims to deliver a comprehensive and multidimensional care to children and their families with complex epilepsy. It is a privilege to be involved with such a high standard of multidisciplinary service which is the model of care of the 21st century. As part of the CEP, I review children with complex epilepsy at an outpatient clinic and I am also involved with inpatient consults of patients with intractable epilepsy. There are other ‘non-routine’ activities that I am involved in, including responding to family concerns about epilepsy and medication adjustments, formulating epilepsy action plans for families and schools and organising further investigations or medication scripts for patients. I also have to constantly review current medical literature on various conditions, syndromes and medications of patients that I encounter in daily practice. As the epilepsy fellow, I am considering a number of research projects and I have completed an abstract on the EEG abnormalities on auto-immune encephalitis with the assistance of Dr Deepak Gill. 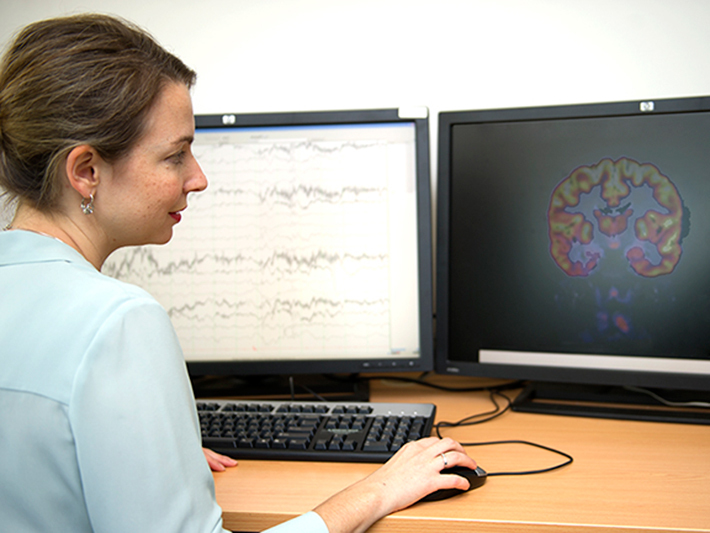 – Interpreting EEGs of patients with epilepsy. 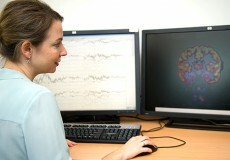 – Supervising prolonged video EEG recordings. Active participation in the comprehensive epilepsy program meetings gives me exposure to the detailed clinical, electrophysiological, imaging, SPECT, PET, and neuropsychological work up of chronic epilepsy patients, especially in the context of pre-surgical evaluation. I also attended the teaching sessions in the field of Medicine, Neurology, Neuroradiology and Neuropathology. I am also being exposed to excellent research in epilepsy genetics. The role of the Fellow at the Mater Children’s and Royal Children’s Hospitals in Brisbane was to support the clinical care of children with epilepsy at both hospitals, in the inpatient and outpatient settings. “Our current Fellow is a highly qualified and experienced Paediatric Neurologist who has completed his Consultant training but developing his Epilepsy knowledge further before starting a Consultant post. He has been a great benefit to our unit here at the Mater Children’s Hospital and has allowed us to see more children with epilepsy and with a reduced waiting time. The 2010 Fellow was Dr Harry Singh. Dr Singh worked on a new project (in collaboration with the Centre for Educational Innovation and Technology at the University of Queensland) to bring high quality education about paediatric epilepsy to all health professionals caring for children with epilepsy throughout Queensland. It is hoped that this education will be provided through online spaces that people currently work in, allowing the doctors to meet one of their key objectives which has been to improve access to education for all health care professionals across the state. Dr Singh also worked on a project looking at misdiagnosis of epilepsy through an audit of new epilepsy referrals at both Children’s Hospitals. Dr Damian Clark was the inaugural George Gregan Foundation Fellow for Queensland in 2009. During his time as the 2009 Epilepsy Fellow, Dr Clark worked on a number of important projects and made a great contribution to the treatment of children at the Mater and Royal Children’s Hospitals. Dr Clark is now working at the Royal Children’s Hospital in Melbourne in Paediatric Neurology.